Contain and pray it doesn’t spread. That sums up the approach officials are taking following the arrival of porcine epidemic diarrhea (PED) in the province. So far, tests for the PED virus at other farms, assembly yards, abattoirs, and truck washes have come back negative. However, officials also don’t know how the virus made its way into the province after more than four years of keeping it at bay. But those involved in the containment effort at the infected farm — a 400-sow farrow-to-finish operation in central Alberta — can testify that the disease is aptly named. Once the virus was detected, all of the sows on the operation were deliberately exposed to the virus in order to build herd immunity as quickly as possible. PED is not transmissible to humans, but the controlled exposure had a dramatic impact on the pigs. 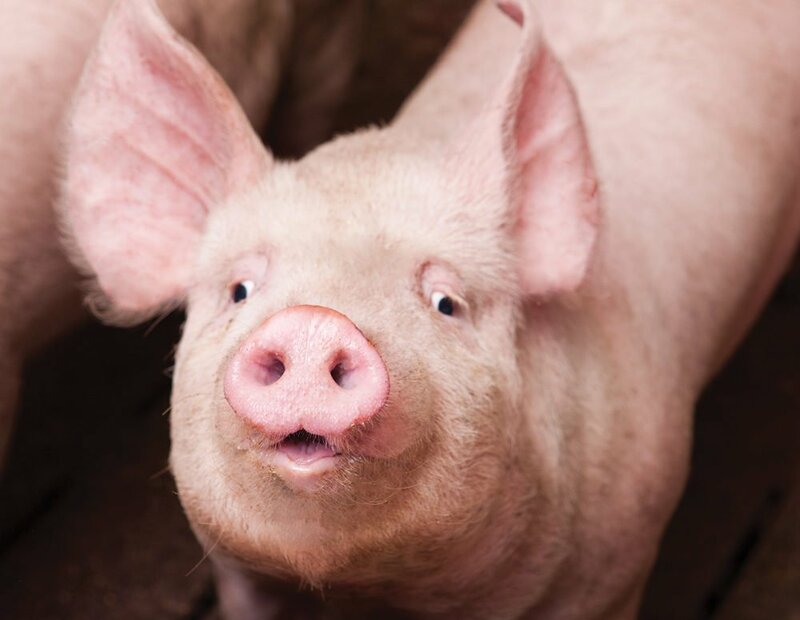 “Once the herd was infected and sows are off feed, within 24 hours everyone on the farm had diarrhea and vomiting as it spread on through,” said Frank Marshall, owner of Marshall Swine and Poultry Health Services, who is assisting on site at the farm. That’s one aspect of a multi-pronged effort involving Alberta Pork, provincial ag officials, private vets, and the Office of the Chief Provincial Veterinarian. There are daily teleconferences to keep everyone informed; regular updates for the trucking industry, packing plants swine veterinarians; and, of course, strict biosecurity measures, including having everyone shower before entering the infected barn and again afterwards. So far, all of the tests have come back negative, said Dr. Keith Lehman, the chief provincial veterinarian. But the search for how the virus came to the province hasn’t yielded answers yet. “We are working on trying to understand where the disease is coming from and this investigation is ongoing,” said Javier Bahamon, quality assurance and production manager with Alberta Pork. The farm’s operators have been closely questioned on things such as when and where they’ve shipped hogs, their breeding stock, and culled sows. All potential sources of infection tested in the first two weeks following the discovery of the virus at the operation have been negative, Bahamon said. PED is a provincially reportable disease. No animals are moving off or onto the infected farm, and officials are researching what feed was used and looking if plasma (a potential source of virus transmission) was used in production of the feed. “We just need to continue to rule out the things that are not suspect or suspicious of bringing disease to the farm,” said Bahamon. Right now, everything is on hold at the infected farm. In the next couple of weeks, the infectious stage will have passed, and there may be some marketing options available. Lehman advised producers not to spread rumours about potential sources, such as that animals are moving off the farm. That is definitely not true. Only when the infectious stage has passed, will any marketing options be considered. PEDv not only is a devastating economic loss to an infected farm’s owners but also a personal blow, said Marshall, as they may be ostracized by their community. Producers are being encouraged to step up their own bio­security measures. Marshall recommended they review a document put out by Manitoba Pork called “Lessons learned from PEDv.” It can be found at www.manitobapork.com (go to the Producers section and then search for ‘lessons learned’).